Alice Foulds presents her debut EP "Oxygen". 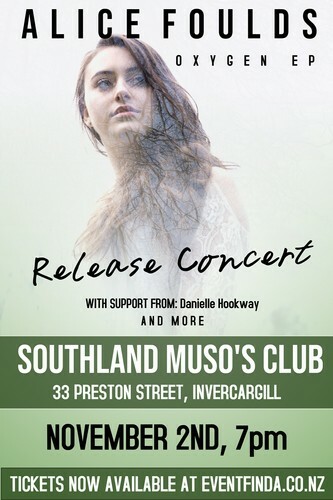 Enjoy a night of music showcasing the up-and-coming talent, with supporting artist Danielle Hookway and live music courtesy of quality musicians all hailing from the local Southern Institute of Technology. Door sales available subject to availability.